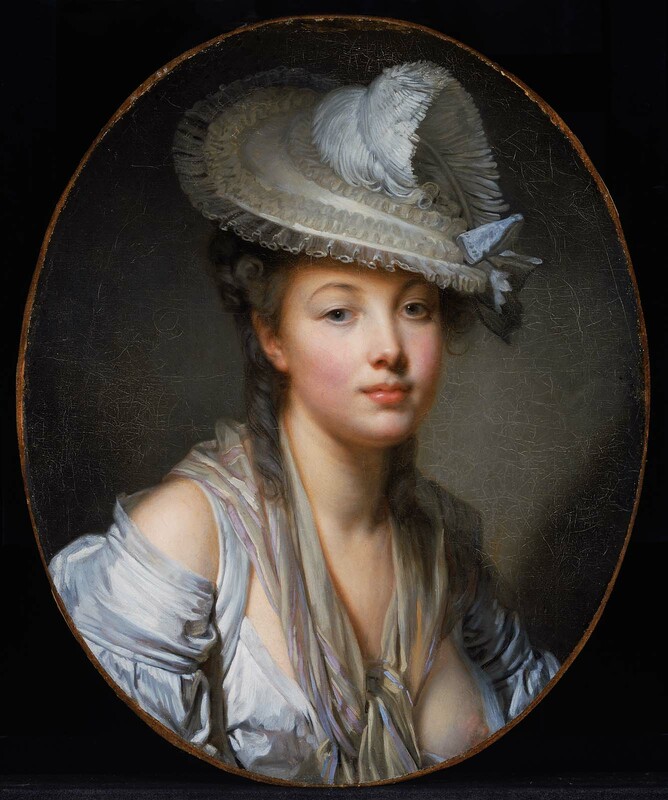 Although Greuze was commissioned to paint many portraits, it’s unlikely that this painting depicts an actual person. The young woman, who appears at once innocent and seductive, is probably the product of the artist’s imagination. 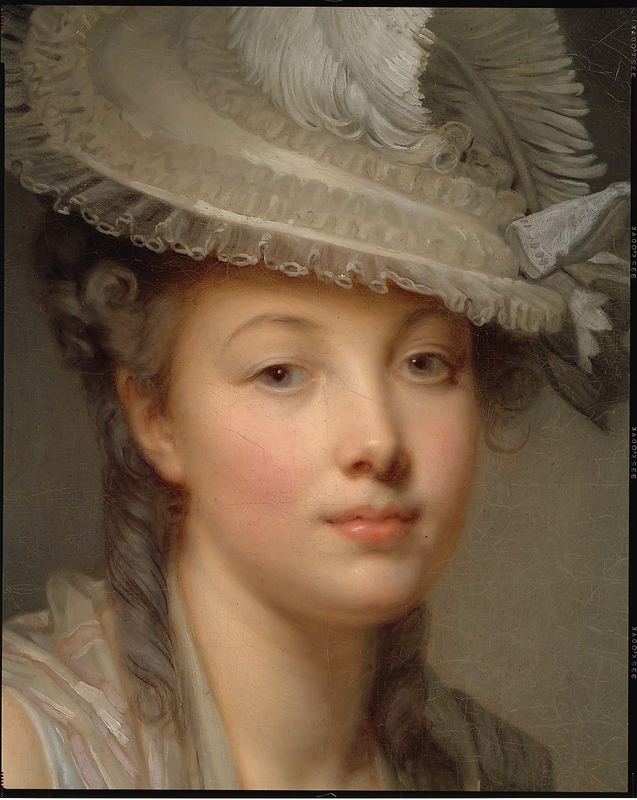 Greuze has dressed her in the more natural, déshabillé (“undressed”) fashion that was en vogue at the time. Queen Marie Antoinette began wearing white muslin dresses that did not require structural undergarments in the 1780s and after some initial scandal, this style became very popular.